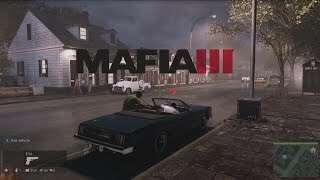 Mafia 3 game under the whistle of bullets and squeal of brakes. 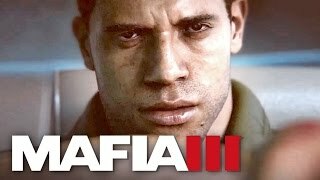 If the first two adventure action series were developed by 2K Czech Studio, Mafia 3 was a third-person shooter with racing simulation elements, released under the auspices of Hangar 13 with employees from 2K Czech, now called 2K Games. Manipulation with the names is quite confusing, and it resembles a detective story, almost like the plot of the gaming product itself. According to the presentation, screenshots, videos and descriptions of opportunities, the third part of the Mafia will be eventful and role model. The player gets into the open world, and although the developers have paid a lot of attention to the plot, the character will be able to act freely. Shoot on the move out of the car thanks to the "smart sight"
Although the events take place in a real city - New Orleans, the virtual city is significantly different from the present. It is divided into different zones, including underground tunnels and country areas. Become a thunderstorm of the criminal world. When it becomes possible to download Mafia 3, you are transported in 1968 and get acquainted with Lincoln Clay. Former hero of the Vietnam War did not meet the applause, returning home. He sees people dissatisfied with the war, racial discrimination and rampant mafia clans. Meeting with the Italian group almost cost him his life - having received a bullet in his head, he survived by a miracle, and decided to take revenge on the offenders by making his own gang. Developing a gangster career, Linkolm enlisted the support of three friendly criminal families, led by Irishman Burke, Haitian Cassandra and Italian Vito Scalett. Now they are his family. Everyone controls possession of soybeans, and Lincolm rescues if he needs it, but in return he asks for help. Sometimes it is necessary to pay off the police, sometimes to support the "trunks", sometimes to get a relic, but you never know the problems in the criminal world. Lincoln Clay leading character. Mulat, participated in the Vietnam War. John Donovan partner Lincoln during the war, a CIA agent. Vito Scaletta fought in World War II. In the second part of the game was the leading character, a member of the Italian-American mafia. Before moving to New Orleans and working with Lincoln, he was part of the Falcone family, then in Empire Bay as part of the Vinci group. In Mafia 3 on PC, he looks much older now he is 43 years old. Cassandra - leads the Haitian gang, helps Lincoln. Berkek - heads the Irish gang, a friend and assistant of Lincoln. Sal Marcano - the head of the enemy mafia group, the main enemy of Clay. Tommy is also an opponent of Clay. Father James is the head of the Catholic orphanage where Lincoln previously lived.